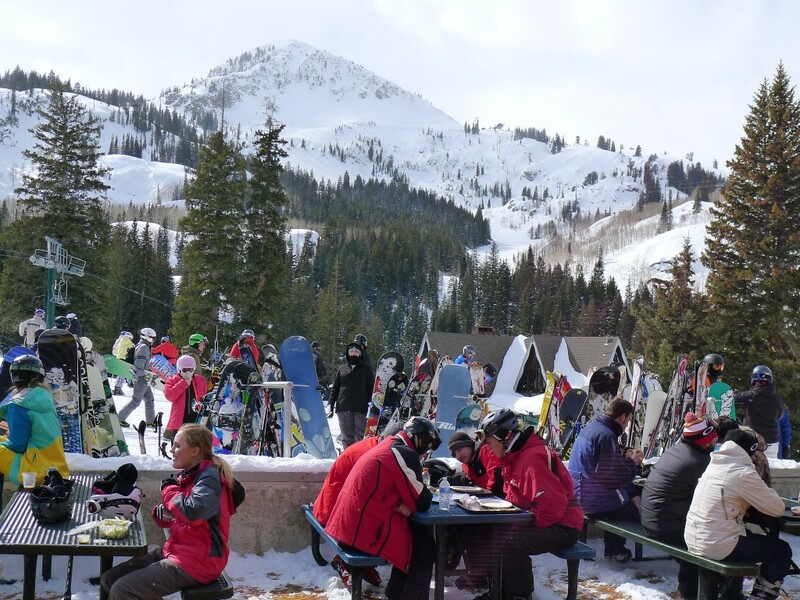 Brighton is one of two ski areas in Big Cottonwood Canyon above Salt Lake City. 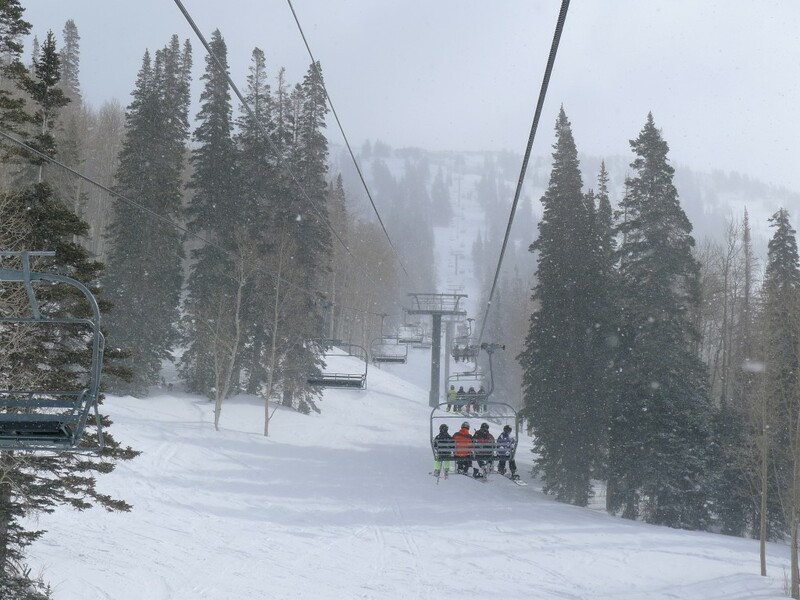 It is in one of the most favored locations for snow in Utah benefitting from lake-effect off the Great Salt Lake, so it’s a solid choice for great snow conditions. Brighton is one of those great medium-sized resorts with a passionate local following due to consistent great snow — much like Kirkwood or Grand Targhee. We hit it on a great day when it was snowing lightly all day and there had been a lot of recent snowfall so everything was soft and every run had nice snow. 100% of the mountain was open. Even though the mountain is fairly small at only 1,050 acres, there are 4 ski pods and each one is different, which provides for a lot of variety. 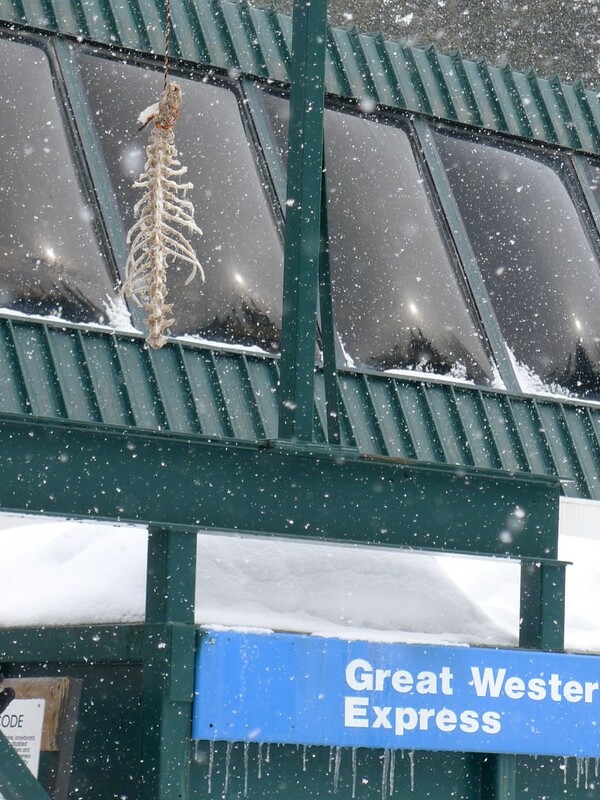 Our favorite lift was Great Western, which is not really well named because it’s actually the most northerly lift and the runs face predominantly Southwest. This lift has a lot of open steeps at the top and long undulating advanced runs down below in trees. 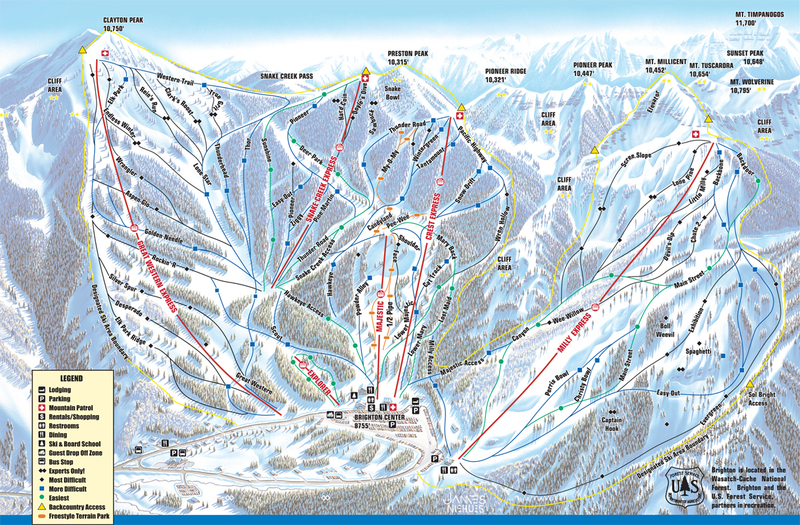 Further to the south the Snake Creek lift has our favorite run on the mountain – Thor. That is an undulating, twisting, wild ride down through deep trees. Snake Creek also has the best tree skiing on the mountain. Next up is the Crest Express. There’s not much to choose from on that lift, but there are a couple of great groomers like Pacific Highway that are very popular. Farthest south and close to Solitude is the Milly lift. Milly serves the most north-facing terrain and it’s mostly a huge open bowl at the top. With AiRung still recovering from her 2nd ACL injury, which was 1 year ago, we were staying away from double-black runs on this trip, but the one exception was Scree Slope at Brighton. There is a short very steep section in the middle, but the rest is really not that bad and the rating keeps the snow soft and less packed down. Brighton seems to attract a lot of families and has a friendly vibe from the mostly local crowd. Much like the other similar resorts mentioned earlier — Kirkwood and Grand Targhee — Brighton has great snow and is less crowded than other choices in the area. The views from the end of Big Cottonwood canyon are great. Access is easy being about 16-miles up-canyon from Salt Lake City. There is a lot of variety here including very steep double-black runs, nicely groomed winding blue runs, bumps, and some great tree skiing. The vertical is only 1745′, so each run is a top-to-bottom affair. The restaurants, lodges, and on-mountain food are definitely well below average. Other than that, there isn’t much to complain about. 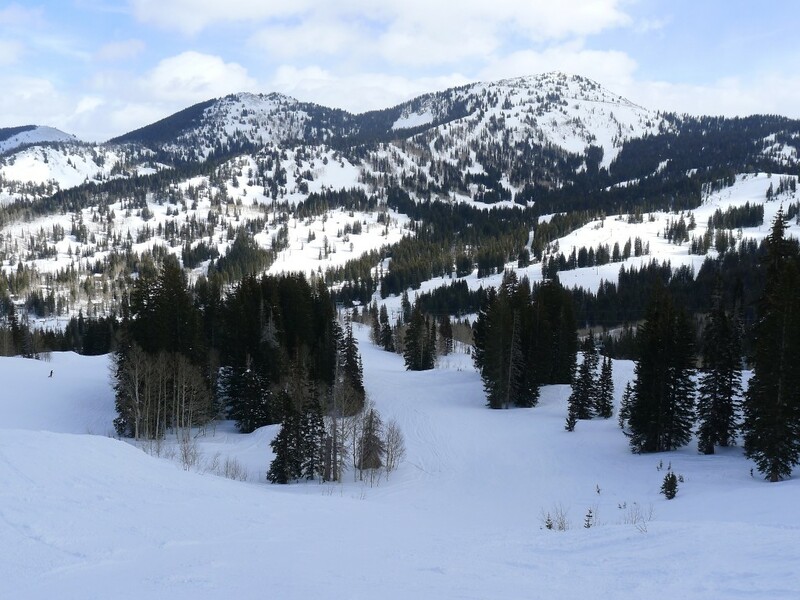 We would definitely go back, but there are so many great resorts in the area it’s going to be tough to choose Brighton over some of the bigger names like Snowbird, Alta, and The Canyons unless it is a busy Saturday.